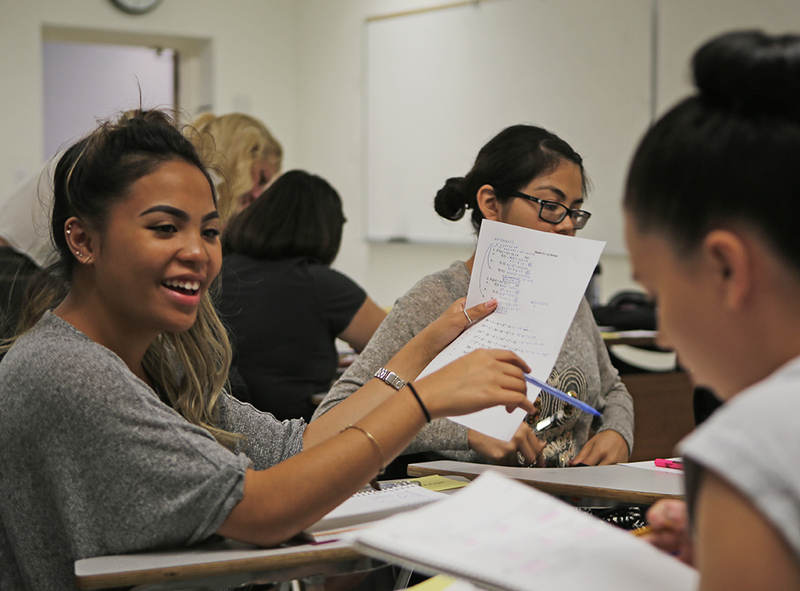 Cal State Fullerton incoming freshman Kathlyn Kagahastian shares her answer with classmates during a summer course to help student prepare for college-level math. In a recent quiz for her class of incoming Cal State Fullerton freshmen – who had all failed an algebra placement exam – Cherlyn Converse asked the students to solve a polynomial equation by factoring its properties. The 35 students had 20 minutes to finish. Some turned in an answer within minutes, others nervously fiddled on papers until they arrived at a solution. For a few, time just ran out. Converse’s students are among the 25,000 incoming California State University freshmen, or nearly half of all enrolled freshmen for this fall, required to participate in the system’s Early Start, a summer program for students who haven’t demonstrated they’re ready for college-level math or English courses. It’s the second straight summer CSU has required the program for new freshmen who failed the system’s English or math placements tests. Students are either enrolled in a week-long, one-unit course to help them prepare for remedial English or math classes this fall semester, or they’re enrolled in intense three- or four-unit courses spread over five weeks that could allow them to skip remedial classes altogether. The courses, available at all 23 CSU campuses and online, are aimed at helping more students graduate on time and reducing the number of students dropping out of college. 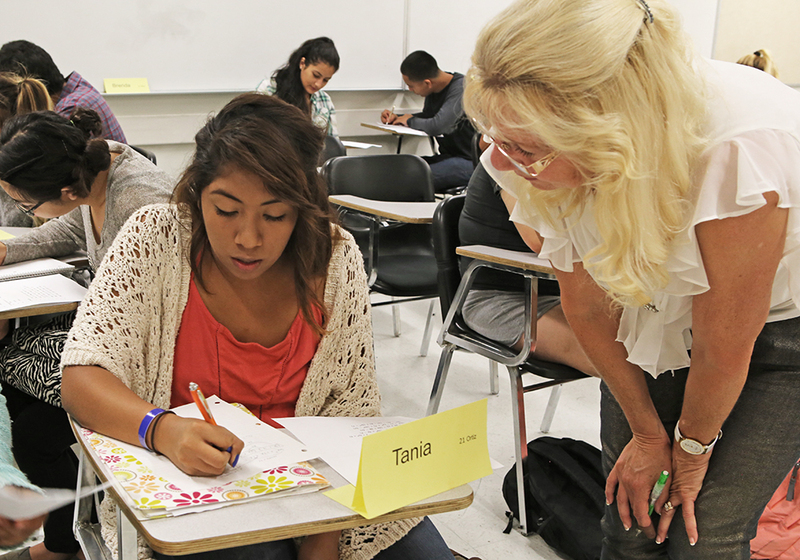 Cal State Fullerton incoming freshman Tania Ortiz asks math instructor Cherlyn Converse to review her problem during a summer course at the campus. The high rate of incoming freshmen needing remedial education continues as a persistent problem for the 467,000-student CSU system. The percentage of freshmen in remedial education has gradually declined each year as high schools increase the emphasis on college readiness and the growth of the overall applicant pool has allowed the system to become more selective. But far too many students still arrive at CSU campuses unprepared for college-level math and English courses, officials said. Last year, about 27 percent of admitted freshmen needed remediation in math, while 30 percent need it in English. About 16 percent needed remediation in both subjects. Early Start courses are generally a review of material students should have learned in high school. Some students pick up the material immediately, while others struggle more. “Early Start helps more students get a running start towards their degree, which means many of these students will get to go to graduate school, medical school, law school sooner rather than later,” said CSU Chancellor Timothy White. Tania Ortiz, an incoming freshman from Tustin, is enrolled in both an algebra and English class at Cal State Fullerton. She attends the summer classes three days a week, for five hours a day. Ortiz passed her pre-calculus class her junior year and earned As and Bs in all her English classes. But she did not earn a high enough score on the CSU placement tests. Her algebra class covers equations and inequalities, algebraic expressions and functions including polynomial functions. 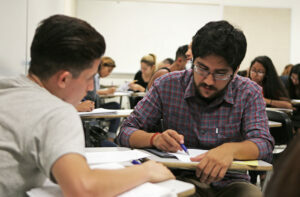 Incoming freshman Alexis Almaguer, right, reviews a math problem with classmate Noe Alvizo during a Cal State Fullerton summer course to help students prepare for college-level math. Her English class teaches students how to compose analytical college essays with appropriate thesis development, support and rhetorical strategies, and how to meet expectations of conventional and grammatical correctness. Ortiz said the classes serve more as a refresher for what she already knows. “I think a lot of students need this to get them up to speed on where they should be,” she said. The English Placement Test, given over 1 hour and 45minutes, requires students to write an essay and tests reading and composition skills. It’s graded on a scale of 120 to 180, with a score of 147 considered passing. The Math Placement Test, about 90 minutes long, measures intermediate algebra and geometry skills through 50 multiple-choice questions. The test is graded on a scale of 0 to 80 with a passing score of 50. The tests have remained largely unchanged since 2008. Early Start began in 2012, required only for students scoring in the bottom quartile on the English placement test and those needing additional preparation in math, or about 15,200 incoming freshmen. Last summer, all students who did not pass the placement tests, about 24,000 in total, were required to enroll in Early Start. Of those students, about 2,200 finished their college preparation requirements in English by taking the three- or four-unit courses, and began their freshman term ready to enroll in college-level English classes. About 3,700 entered eligible for college-math after completing their Early Start in-depth courses. 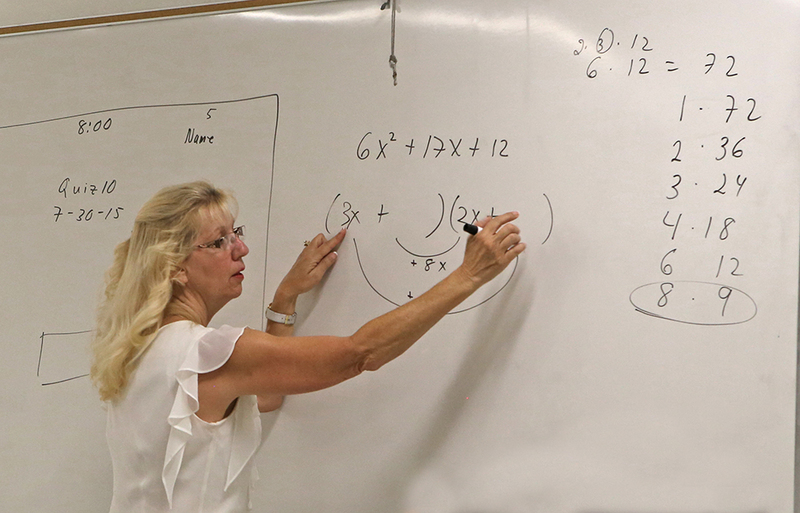 Cal State Fullerton math instructor Cherlyn Converse shows students how to solve a math equation during a summer course to help students prepare for college-level math. That pushed the number of freshmen not needing any remediation to 59 percent, up from 44 percent in 2010. In all, about 85 percent of students in Early Start last summer completed all remedial coursework by the end of their freshman year, also an improvement, up from about 70 percent in 2010. That means more of these students are likely to stay in school and graduate on time, said Eric Forbes, CSU’s assistant vice chancellor for academic support. Proficiency in English and math is vital for success in all other coursework, he said. 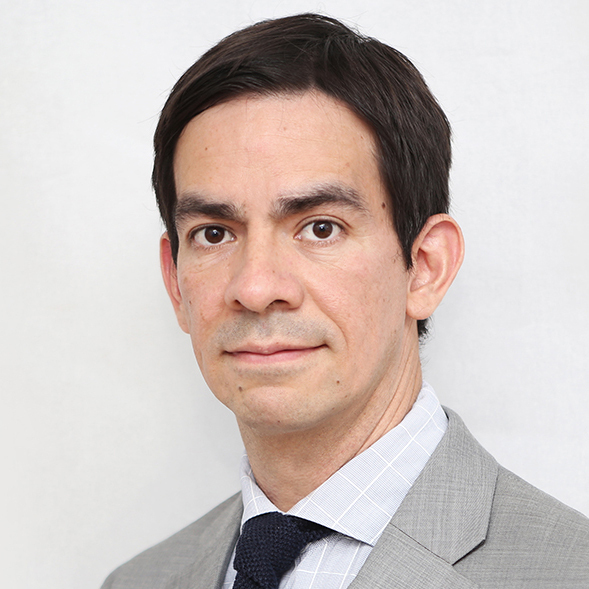 “It’s clear if you have to do remedial coursework at same time as you’re taking other college-level courses that require these basic skills, you’re not going to be successful,” he said. Courses cost $186 per unit, similar to the regular semester costs for tuition and fees. Students who qualify can also receive financial aid. Early Start also offers a preview for new students of what it’s like to attend college, Forbes said. Early Start courses are run entirely by CSU faculty either on college campuses or online. Converse, the instructor teaching summer algebra, runs her the course like all her other traditional classes. She encourages students to learn through collaboration. Many of her lessons require students to work in small groups to solve a series of equations. Students then take turns at the white board explaining to classmates how they solved the problems. At Cal State Los Angeles, incoming freshman Liz Aguilar, from El Monte, thought her summer was ruined when she learned she had to enroll in Early Start algebra. Aguilar said the course was worthwhile because it’s prepared her for all other college-level work. Passing the summer course will also allow her to enroll in a college-credit algebra class in the fall. I guess all education unions aren’t bad. My conclusion from reading this article is that the difference between the California Faculty Association and the California Teachers Association is that the California Faculty Association believes that they have the responsibility to prepare students for college. I am an exchange student to the United States of America. Exchange students broaden horizons, and you gain multi-skills and make networks. I have visited the United States and Cairo in a fully funded program. There is also a fully funded summer exchange program in Turkey 2018. You people must apply for that program. Lots of programs are on way. I, my self an exchange Student to the United States of America. Exchange students broaden horizons, and you gain multi skills and make networks. I have been visited the United States and Cairo in a fully funded program. There is also a fully funded summer exchange program in turkey 2018. You people must apply for that program. Lots of programs are on way. CSU is definitely part of the problem! If it continues to accept students that don’t meet the basic requirements it takes away any teeth that high schools have in getting a kids prepared. Parents (and many administrators) are more interested in their children being “eligible” than in being “ready” for college. If HS teachers held students to the bar that CSU would like, there would be more fewer students meeting the A-G requirements (a measurement of the quality of a a high school). When CSU admits students who are clearly not ready, it is reinforcing that it’s ok to not really learn what it says are minimum standards. One thing that is really hurting kids that are on the – UC track is the CCP/Health Requirement. That takes a block up for a full year which makes it hard for students to stay on track to meet A-G requirements by graduation. Parents have tried really hard to get the District to do Health during PE and to eliminate CCP – That class is causing big issues- the District had posted that 669 students had needed referrals to summer school credit recovery for CCP. The District is also trying to get CCP listed as a technology class? and if you check the credentials of those who are teaching CCP 2/3 are not qualified to teach that class. Further- the District has 17 teachers teaching CCP and 18 for Health. Wouldn’t it be better to use those dollars for class size reduction rather than to teach CCP/Health and mess up the A-G for kids on the college track? Unofficial CDE EAP 2014-15 will be available summer 2015. Of Note: The Old California State Standards required that students take 2 years of Math (completion of Algebra I) to graduate. When the state adopted the Common Core State Standards students were required to take 3 years of math (completion of Algebra II) to graduate. It is interesting to note that CDE now has “California” Common Core State standards that require students take 2 years of Math (completion of Algebra I) to graduate. I can tell you that my daughter a 7th grader took Algebra 1 last year getting all A’s and B’s. When she took the math placement test to go to private school she did not get a good enough score to move on to Geometry. The reality is that CUSD is not presenting the last three sections of Algebra I in Algebra 1. That is now being presented in Algebra II which leads me to believe that students who pass Algebra I and II are really only being taught Algebra I and 1/2 of Algebra II by the time they graduate. So what we have had to do is hire a tutor to teach her the last three sections of Algebra I so that she could re-take the Algebra 1B placement test. She took that last Friday and either she will pass and move on to Geometry in the 8th grade, or she will fail and have to spend a year taking Algebra 1 B. The old California State standards required students to take 2 years of math and complete Algebra I to graduate. Then California adopted the Common Core State Standards which required 3 years of math and the passage of Algebra II to graduate. Then somewhere between the adoption of the new Common Core State Standards the State adopted a new set of standards called the “California” Common Core State Standards which is back to 2 years of math and the passage of Algebra I to graduate. Can anyone explain when we changed from the Common Core Standards to California Common Core Standards? Minimum graduation requirements are set in Ed code not in standards docs. The ‘ca’ version of common core was adopted in August 2010. What was adopted in 2010 was 3 years of math completion of Algebra II – that is not the case today? I can go back and find the sources for articles that I published at that time. Could be, but that’s part of Ed code not standards docs. The CDE has a page that describes where to find all that. It’s does not state who changed what when. Note that a district can probably impose higher than minimum requirements too. Our requirements are getting lower and lower- we are the only District in south Orange County that does not have UC approved Honors classes (we have one honors class). They said they were going to start offering Honors classes this fall – but it looks like they are not able to get that done? (E) One course in visual or performing arts, foreign language, or, commencing with the 2012-13 school year, career technical education. That’s essentially what’s in Ed code now. Common Core seems to be worse for diligent or gifted students, and I am skeptical it helps troubled students. It claims to, but the proof is in the pudding. Truth is, only someone who pushes in school is going to be an engineer, scientist, lawyer, doctor or top business person or accountant. To help tech., we need to take our top math students and help them reach their potential. We need more graduates, yes, but our economy will prosper more by helping good students be great than it will by helping terrible students become merely bad students before they work at Walmart. If these laggards are making everyone hold up for them, they better be willing to at least study to the best of their ability 15-20 hours a week from age 10 and push to the best of their ability and for crying out loud if you have kids, stay married and raise your kids. If they don’t it’s all for naught. If we could get those at the bottom to learn kids turn out better if you turn off the TV and teach them, it’ll be worth it. My fear is we’ll drag down the gifted and see no improvement in the kids who always find something better to do than to study. The nearby community college kept track of the students coming from the high school where I did my student teaching, and they found that students who didn’t take a math class their senior year ended up forgetting at least a year of math. In other words, the best they did was to place into the class they took junior year, even if they got an A. This wasn’t just a statistical tendency–this was universal for students who didn’t take math as seniors. And for students who passed junior year math with a C, they often placed into their sophomore year math class. On the one hand, pre-calc should be enough preparation for college, but if you take it more than a year before you enter college, you’re going to forget it if you haven’t been using math regularly. A key question here is to what extent, if any, do the “college entrance exams” align with the curriculum taught in CA’s high schools? The role of most classes at the high school level are to provide a comprehensive education for students and cover all the domains of writing, not just the expository essay central to performance in most college classes. Some of this may be resolved as both systems begin to align with the CCSS. Whether or not that is s good thing remains to be seen. Then there is the fact that the vast majority of incoming students seem to complete “remedial work” within one semester and the whole situation seems to have been blown out of proportion. It has been many years since I was an incoming college student, but my recollection particularly about “college-level/non-remedial English 1A, is that the majority of my peers did not take English 1A and instead took what would today be considered a “remedial” English course. It is still true that in the US today we have the highest number/percentage of people with BAs, or close to it, in our history. There are many assumptions thrown out about “college for all,” but I have yet to hear an informed national debate about why we need to increase that number/percentage. There are indications that misinformation has been disseminated that there were shortages in various fields, engineering comes to mind, and after a rush of people to those programs the primary effect had been a lowering of starting salaries in those fields. There is speculation that this situation may be repeating itself in various tech fields today. Gary, these tests are basic reading and math tests. This curriculum excuse doesn’t fly. All curricula teach kids to pass these tests, to read, have proper grammar, have basic math skills and have reading comprehension. This is a huge failure, to have these kids in school 13000 hours and not learn this is mind boggling. It shows how much we are failing We can’t blow it off by comparing it to exact curricula or saying someone successful was once bad in math. I didn’t go into math or science and was a Sociology Major at Cal, but I passed this test and all like it with flying colors. It’s just about diligence and good teaching, not curricula. Fix the problem rather than make excuses. For crying out loud. Didn’t you read the poverty study? There’s a perfectly good excuse for Gary and these students, a rock solid one – less brain mass. Since it is proven beyond question and because these students demonstrate learning differences that result in 2 or more years of academic delay, they need special education services. But that wouldn’t be politically correct to identify disproportionately from underperforming ethnic groups. Did you know that in San Francisco Asians are also disproportionately represented in special education? I thought this is about students who are lagging, not disabled or mentally challenged kids. This is about kids who are not mentally retarded or in special ed but just don’t gain the right education. Or is this about kids who could go to college but have minor challenges which can be overcome like ADD or dyslexia? That’s what I find so odd, this is essentially saying whites and Asians have, on average, higher IQs, or richer people have higher IQs and poor people lower IQs or less brain matter? But poor Asians are an exception? So the answer is welfare? If we can get everyone out of poverty, can we eliminate the gap? If so, why do poor Asians outperform non-poor blacks and Latinos? There’s something else going on that the Garys of the world don’t talk about at parties. You’re supposed to be decent at both math and English upon finishing high school, and it’s more based on effort and teaching quality than personal inclination. That’s why the triple package groups excel, it’s not a natural inclination but is about effort. It is important to get kids advanced in both by finishing high school even if they don’t become scientists, engineers, or accountants. It makes for a better country if more people speak foreign languages, know basic history, government and economics, and math or science. Ignorance hurts America, just look at the Evolution and Global Warming debates. Absolutely. But my question still stands. Given the percentage of California’s teachers who are prepared by the CSU, they may indeed be part of the cause of remedial education. Excellent. I am studying this phenomena.